The agreement was established with the signing of the Memorandum of Understanding (MoU) between the School of Design and Environment (SDE) and Yosen Advanced Digital Construction and Manufacturing Pte Ltd, on 5 July 2018. 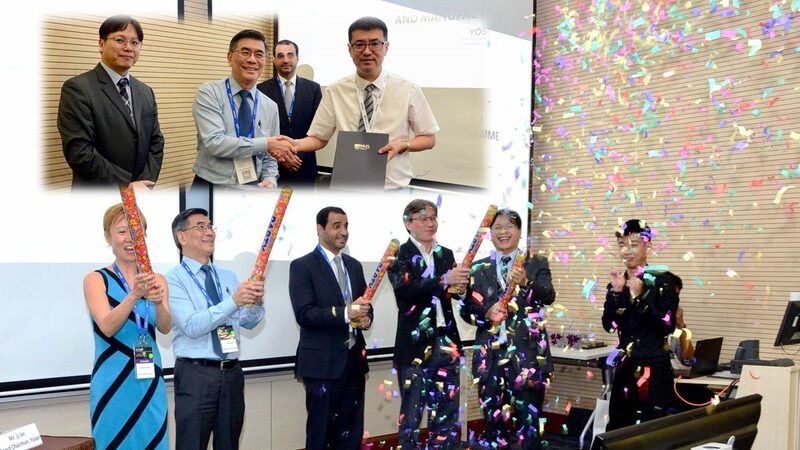 The event was held during the International Conference on Construction 3D Printing (iC3dP). With this arrangement, SDE and Yosen will collaborate to explore the potential opportunity in construction 3D printing, promote joint research and development activities in the area of 3D printing processes and materials for the construction sector. At the conference, they also announced the launch of the Construction 3D Printing Programme (C3DP) at AM.NUS to accelerate the adoption of 3DP in the construction industry. This programme is hosted under the SDE and is supported by the National Additive Manufacturing Innovation Cluster (NAMIC). C3DP aims to develop sustainable materials, as well as 3D printing designs to facilitate rapid mass production of building structures. The 2-day conference on 5 & 6 July at the University Town is jointly organised with the NUS SDE, AM.NUS and NAMIC.